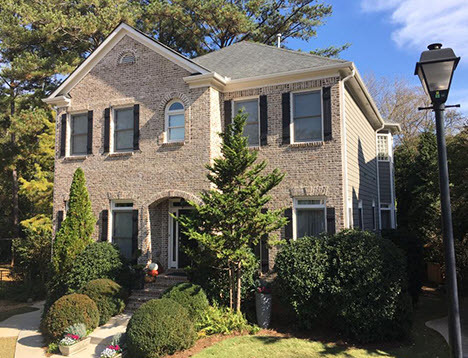 ​South-East Painting and Protective Coatings is a local business of professional house painters and recently completed several projects in Brookhaven, Georgia. We pride ourselves on thorough prep work, quality products and detailed painting. We give a quality finish to each and every home. For a beautiful lasting finish to your home, give us a call. We work on your home until the project is completed. We don't move around to work on other projects. Our company prides itself on thorough prep work for your home to give the quality finish that lasts for years. Our pricing policy breaks out each element of a room including walls, ceilings, trim/windows and doors. The transparency lets you choose any or all for painting. We can handle most needed repairs for you. We offer all exterior painting coverage for your home. The paint consultation includes a detailed quote including paint options, finishes and repairs. We guarantee your satisfaction. You do not pay until the project is complete and you approve the work. We provide a detailed estimate and provide suggestions during the paint consultation to give you the most out of your project. How Does Paint Quality Make a Difference? Quality paints provide a depth of color and durability that can be seen immediately when comparing paints side-by-side. The color quality and ability to withstand accidental brushes to the wall is truly amazing. We use only Sherwin Williams paints because they are the proven leader in top of the line paint products. A variety of paint life expectancy options and meet special needs such as allergy concerns are available. During the Paint Consultation, we'll ask you about your paint preferences and give you choices for the best finish for your home. We pride ourselves on our thorough review of your home and detailed estimate which gives you choices in paint finishes, surfaces and repairs. ​Review with homeowner to ensure 100% satisfied. When you need quality cabinet refinishing in Brookhaven, homeowners have trusted Southeast Painting & Protective Coatings for years. When it comes to refinishing kitchen and bathroom cabinets in Brookhaven, our skilled painting experts complete the job with attention to detail and maintain our commitment to quality and meeting the customer's timeframe. Our team have experience and dependability that you are looking for. We offer the most professional and affordable cabinet painting in Brookhaven, GA.
We've been staining cabinets, painting cabinets and glazing cabinets using a variety of paint colors, finishes and textures. Our refinishing technique is cost-effective, saving you money and extends the life of your cabinets. You don't need to get over-priced new cabinets when our painting and repair services offer competitive pricing for refinishing cabinets. Our experienced cabinet painters can be your one-stop source for cabinet painting or cabinet staining. Need a kitchen cabinet makeover? Don’t hesitate to give us a call now! Our team will fix your aged and cracked cabinet panels so they look like new again. If you want an update to your kitchen, we can resurface cabinets for a fraction of the cost of new cabinets. Southeast Painting is the cabinet repainting company Brookhaven residents turn to when you’re looking for quality workmanship. Our attention to detail and excellent customer service is what has kept us in business and keeps our customers coming back! You can trust our professional cabinet refinishers who are as courteous as they are knowledgeable. You will be delighted with your updated cabinets and new look to a kitchen or bathroom. Our team will be happy to provide you with a competitive, transparent quote and stand by the outstanding cabinet refinishing and painting services that we deliver. Exterior paint is primarily for providing a layer of protection around your home to keep out environmental wear and tear. We only use Sherwin Williams paints as they provide high durability paints that seal tightly and repel water to protect your home. Exterior painting also gives your home the ambiance you want to show visitors. A new color of paint can completely change the look of your home's exterior and give an updated look. We've completed a number of projects in Brookhaven recently. Let us show you the most popular colors and styles to increase the value of your home. When we visit your home for a paint consultation, we'll review the exterior and show you any cracks or damage where weatherproofing will close off any outdoor air or rainwater that is finding its way in. We can apply sealants and other products to close off these areas to protect your home. Ask about our Weatherproofing services. Our humid climate takes its toll on wood and siding so we suggest you review your home every year to look for any broken seals around windows or doors or any damage that may allow air or water into your home. Making minor weatherproofing improvements now is more cost effective and saves energy than costly repairs for damage. 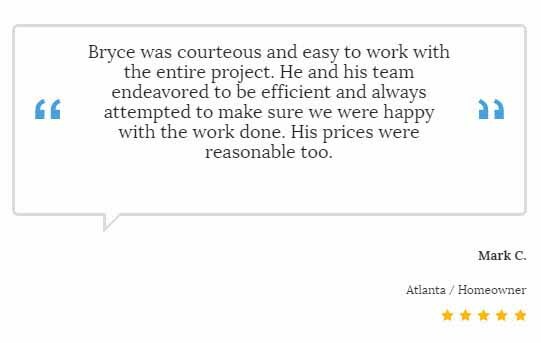 Give us a call today to have an expert review your home's exterior. Looking for a new look to your home? Changing a paint color can make a dramatic change in the feel and mood of a room. We offer paint consultation and have a Color Expert who can make suggestions for the latest trends or help you achieve the look you desire. Want to know the latest colors that are popular in your neighborhood? Give us a call for the latest in color trends. When you call us for an estimate, we'll visit your home to review the interior. We'll also note any repairs that maybe needed before a paint project. Many times we can take care of light renovations including dry wall, surface damage and minor repairs. And we'll include pricing on the estimate. The time frame will also be listed and we make sure that it works around your schedule. We offer suggestions on how you can maximize the value of an interior paint project in our Interior Painting section. Take a look at the paint on the exterior of your home for clues as to the age of the paint and the quality of the wood underneath. Paint Cracks - When you see vertical and horizontal fissures, it is a sign that oil-based paint must be removed because it's losing its grip. If the paint chips you peel off are 1/16th of an inch thick, the weight of the paint alone is a problem but the age is weakening its the seal. Graying Wood - The outside elements weather the wood so that it is no longer a good base for paint. Extreme temperatures and sunlight are weakening the lining that holds the cells of the wood together so the surface wood fiber no longer bonds to the wood beneath. If you paint it, very shortly after, peeling will begin again. Bright Wood - If the wood underneath all the old paint and gunk is wood that looks like new? Congratulations. This is most likely older construction when clapboards were made from trees that grew at a much slower rate and not necessarily for commercial use. They were also rift-sawn which minimizes warping. When it comes to speedy high quality drywall repair no one beats Southeast Painting & Protective Coatings experienced paint contractors. If you've tried to repair drywall yourself, you know that its not always an easy task. Drywall repair requires skill to make holes disappear or even surfaces. Our professional drywall repairers have years of experience repairing drywall in homes and offices in and around Brookhaven, Georgia are familiar with the various architectural styles and drywall materials used in previous construction and new construction homes over the years. If you want high quality, affordable drywall repair Southeast Painting & Protective Coatings is the company that Brookhaven residents and business owners trust. Drive along Ashford-Dunwoody, Peachtree and Druid Hills roads in Brookhaven and you will see a burst of new construction taking place. Ashton Woods, Pulte and David Weekly are building in pockets around Brookhaven and into the robust Buckhead neighborhood on the edges of Brookhaven's city line. Inside these new homes, you'll see the latest in trendy designer touches and new color palettes. Look for a rich blend of natural wood accents in beams, sliding barn doors and decorative features throughout the homes. More texture in cabinetry such as laquer and subtle striping in the wood are setting a new standard for kitchens as opposed to solid wood or all white cabinets. These subtle changes give the wood softness and takes away the industrial feel of the most recent straight-edged light wood cabinets. ​Brass is making a comeback in kitchen and bath features. Look for pops of the golder shades in plumbing, drawer handles and other accents. A wood countertop, either over the island or portion of countertop space gives a warm feeling to the room and an efficient cutting board space if butcher block is chosen. The upper kitchen cabinets are starting to go away leading to bright open kitchens with more windows. This gives new opportunities for pops of color in paint, tile and backsplash features that may climb to the ceilings. ​Kitchens seem to always be the entertaining space so we're seeing warm, interesting spaces being created where people gather. Steam showers are becoming much more common leading the way for a greater need in anti-allergy and mold fighting properties in interior paint. We offer a selection of residential painting products that complement these new designer touches. Another new trend is turning bathrooms into little "jewels" with a special look and pop of color. Special paint colors coordinated with stamping or other wall features adds a unique design to these new bathroom looks as well as intricate cabinetry cuts and designs that look like works of art. Wallpaper in geometric patterns layer with sea grass or other natural fibers is another element of warmth and naturalness adding new design to bathroom wall interiors. Bold architectural details such as more moldings and stone work that goes to the ceilings are adding vibrancy to the walls of family living spaces.